Subtle Progress. Intel's rate of CPU development is about as steady as the ticking of a Swiss watch. At the beginning of the year, Intel presented the new Arrandale chips. Now, they're following up with the expected update in the form of subtle improvements. At the beginning of this year came the lauch of a brand new generations of notebook CPUs, that is, the switch from Core 2 Duo to Intel Core-i processors. And now, in accordance with Intel's tick-tock strategy, the next phase in development follows. In expectation of these considerable changes associated with the introduction of the Arrandale processors, users can look forward to small improvements in notebooks whose price will likely remain the same. 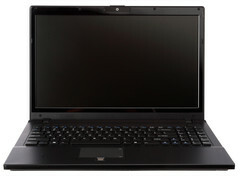 Once again, the German notebook retailer Schenker-Notebook has provided us with a test laptop for our CPU comparison. The mySN MB6.A is a barebone model (W760C/CU) from the Taiwanese manufacturer Clevo. 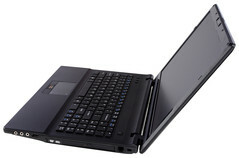 Schenker-Notebook rates it as a powerful business notebook. This is also demonstrated somewhat by the available display with HD+ (1600x900) resolution and a matte screen perfect for office applications. Unlike our test notebook, the MB6.A comes with an integrated ATI Mobility Radeon HD 5470 graphics card that offers low to middle grade 3D performance. Our tests were carried out exclusively with the integrated graphics card. 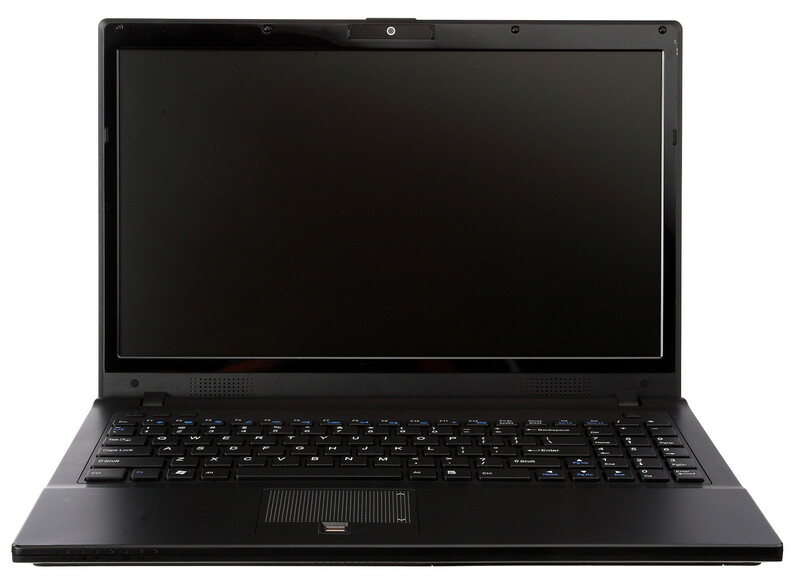 Our test notebook was a pre-production model whose BIOS version differs from the version that will be on the market. This was demonstrated by errors with the Intel GMA HD graphics card during the graphics benchmarks. Those who hoped for great innovations from these current processors will find themselves disappointed. For the upcoming CPU generation, the codename "Sandy Bridge" has been preserved. This "refresh" is mostly limited to an increase in the clock rate, albeit at the same level of power consumption. This is made possible by advances in the manufacturing process. The functionally important features of the Core-i Arrandale processors like Turbo-Boost, hyperthreading and integrated graphics card remain the same. Altogether, four chips were reviewed. The i5-460M, i5-580M as well as the i7-640M were teseted within the above-mentioned mySN MB6. For the purposes of comparison, we included the current i5-540M CPU in the benchmarks implemented. 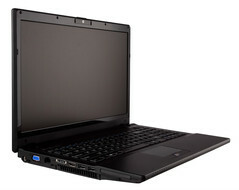 Moreover, some comparisons of the i5-460M were made on the basis of the previously reviewed Acer Aspire 5745PG, for which some of the same benchmarks were used. The Cinebench R10 is a classic among benchmarks and simulates the rendering of an image with the aid of one or several CPU cores. This simulates real-world conditions quite accurately for processor performance with one core as well as with multi-core optimized applications. The resulting data reads: the higher the point value, the faster the rendering is completed and the higher the chip is ranked in regard to its processing power. The tests were carried out in the 32-bit as well as the 64-bit versions, the latter yielding better results in our test notebook's Windows 7 Home Premium 64. Comparing the 32-bit results with the 64-bit results of the existing Intel Core i5-540M CPU with its successor, the i5-580M (same price) in our test notebook, we observed an increase of 8% in multi-core rendering and 12% in single-core rendering. Also the results of the remaining chips compared with the data in our Benchmark List of Notebook Processors show a similar increase in rendering performance. The results of our OpenGL test should be ignored since the BIOS of our test notebook experienced some problems with the integrated graphics card, yielding unreliable results. An analysis of the 32-bit results of the Cinebench R10 paints a very similar picture to those of the 64-bit version. Each chip reaches a higher average value than its predecessor. The i7-640 CPU in our test sample beats the highest result in our database for single-core rendering by 3% (the old record being 4422 points scored by the i7-620M CPU in the Fujitsu LifeBook NH570). Moreover, the new 640M processor scores about 8% above the average of all values in our database (4221). Even higher values are recorded in our database for the multi-core rendering tests than was reached by the new 640M CPU. The highest value of 9399 points comes from the HP Elitebook 8540W. On average, the Intel Core i7-620M chips reach a value of 9020 points in the Cinebench R10 64-bit multi-core rendering benchmark. This is even less than the value reached by the i5-580M CPU, making the new 640M almost a sort of downgrade in this regard. The tool SuperPi tests the computing power of a single core and nears the top of the benchmark list even when looking at overclockers. In this test, the CPU approximates the value of Pi to a certain level of accuracy (1.2 or 32 million decimal places). The time taken to accomplish this task acts as an indicator of the chip's performance power. Once again, the faster the task is accomplished, the greater the CPU's performance potential. We observed an increase in performance in all tests, but most of all in the 32-million-decimal-places computation. In this test, the i5-580M surpassed its predecessor, the 540M by 8.5%. The i7-620M came in at an average of 782 seconds according to a database. The i7-640M CPU in our test notebook manages to outdo the 620M by about 4% with 753 seconds. Other benchmarks like the PCMark Vantage from Futuremark were indeed carried out, but the results of these tests were unreliable. The cause of this was also quite likely the unfinished BIOS version of our test notebook in conjunction with the effect of the problematic integrated graphics card on many aspects of the PCMark Vantage test. The current Cinebench R11.5 was completely uncooperative with our test notebook and wouldn't even start. The WPrime results could also not be interpreted reliably. Although Intel's new processor generation was designed with a TDP (Thermal Design Power) of 35W, the recorded power consumption values in individual test scenarios varied. In each test the power consumption of the entire system was tested, between the power grid and the notebook's power supply under the following settings: Idle Min (energy saving mode, min. display brightness), Idle Max (best performance settings) and under heavy use (best performance settings, Prime95 Torture Test - In-place large FFTs). Noteworthy is the fact that the Intel Core i5-540M CPU exhibits a power consumption 4-5 watts higher than its conterpart, the i5-580M. Under heavy CPU stress, however, this difference quickly thins out. Here, all the chips show practically the same power consumption with only marginal differences. The observed difference could possibly stem from the widely rumored new stepping level of the newer CPU. If this is so, then the resulting energy-saving effect would be especially beneficial during typical, low-CPU-stress office work. It's also however possible this is a result of the BIOS problem encountered in our test notebook. Regardless of the stepping, it can be safely said that all the upper-level processors (i5, i7) of the new Arrandale set require nearly the same amount of energy, thereby making the issue fairly insignificant when choosing which to buy. The price remains the same. This is probably the most important information for the consumer about the new processors offered by Intel. But that's not all, folks. Our first tests show an increase in performance power. This increase ranges from several percent to more than 10% depending on the particular application. This is also exciting in light of the recorded values for power consumption, which are lower during light use of the notebook. If this benefit will be exhibited in Intel's entire range of products, this small CPU update will constitute an important and useful step for the user. If the "older" Core-i processors will indeed be produced with the new stepping, they too can profit from the lower energy consumption levels. It can be assumed that most current notebooks will soon come with the new Intel processors and the old Arrandale chips will be phased out. A higher performance for the same price: that's what consumers like to hear! However, this might cause some sleepless nights for the folks at AMD, not to mention some well-lined pockets in Santa Clara. Many thanks to Schenker-Notebook for kindly providing us with a test notebook. You can configure and buy the notebook here.